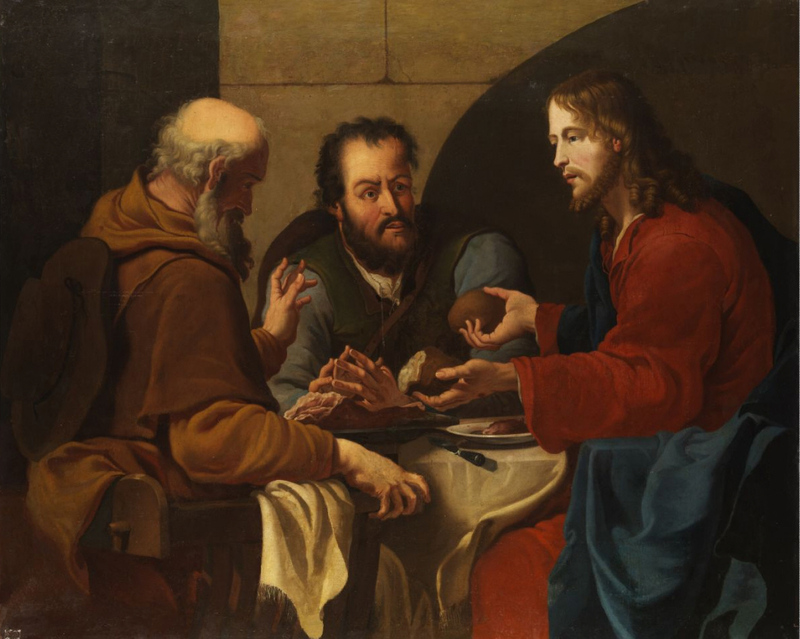 Thomas somehow missed a crucial moment for the disciples. He had never been a key player and was only mentioned a couple of times in the Gospels. And now he had missed seeing the risen Christ. It must have been hard to be the only one who hadn’t been there. He must have felt left out, different from the rest of the fellowship, apart from the community of believers. He must have wanted to be part of that group again and not be an outsider. Evidently, Christ also wanted Thomas to remain as part of the community, to belong to it completely. So he came to Thomas, the one sheep who had been missing. Not only to him, though, but to the others, so that they would know that Thomas was still one of them, and not left out or different. 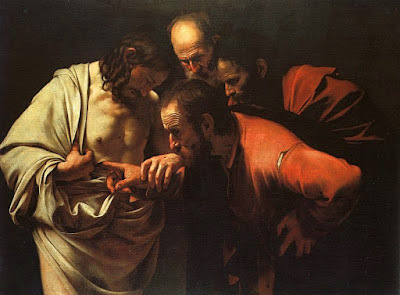 Christ made sure that Thomas still belonged by inviting him to touch his wounds----his hands where the nails had pierced and his side were the spear had gone in. The wounds were still there. Christ in his resurrected body still had those wounds. Why? Because they were part of who he was. Without them, he would have been someone else. He is God, but he is also human. The wounds prove his humanness. Can God be wounded? That’s a philosophical question I am not prepared to answer. Can humans be wounded? Of course. We are wounded often, by life and by each other. So here we have the wounded, risen Christ. He does not shake Thomas’ hand with his nail-pierced hand. He does not hug Thomas to his spear-pierced side. Instead, he does something even more painful. He invites Thomas to touch his wounds, to put his finger into them! And by doing that, he offers himself up once more, his incarnate --- his human----body a sacrifice for a single person so that the one who was left out can be restored to the community, to relationship with both himself and with the others who had been together for the three years of Jesus’ ministry. in bringing all of those back into community, Christ is telling us that we belong as well. Christ came then and still comes to us now to bring us back. We are each a lost coin, the one sheep missing while the community of 99 sheep is safe. We are each the prodigal son, returning to the family. Christ, at the Last Supper, said to those eating with him, “This is my body, broken for you.” We hear those words repeated every time we celebrate Holy Communion. But do we ever really think about them? Internalize them? Take them literally and personally? Thomas saw the brokenness of Christ’s body. He touched the broken places. I believe that Christ could have been healed from those wounds. After all, he had healed so many others, it only seems reasonable to think that he could have been healed as he rose from the grave. If God could bring him back to life, why couldn’t God have made his flesh whole and unwounded again? “The body, broken for us,” still broken for us. The Apostle Paul told us that we are the Body of Christ. The body of Christ, broken for us, is us. We are still broken. Because our community is not complete. Most of us hold back parts of ourselves from each other, and others are not here. Too many have never been part of a church at all. They either don’t know or don’t feel welcome or don’t want to find out what the body of Christ is like. Until everyone is here, the body of Christ will still be wounded, the body still broken. Why is the risen Christ still wounded? Why is the body still broken for us? Because the broken places make more room for more people. 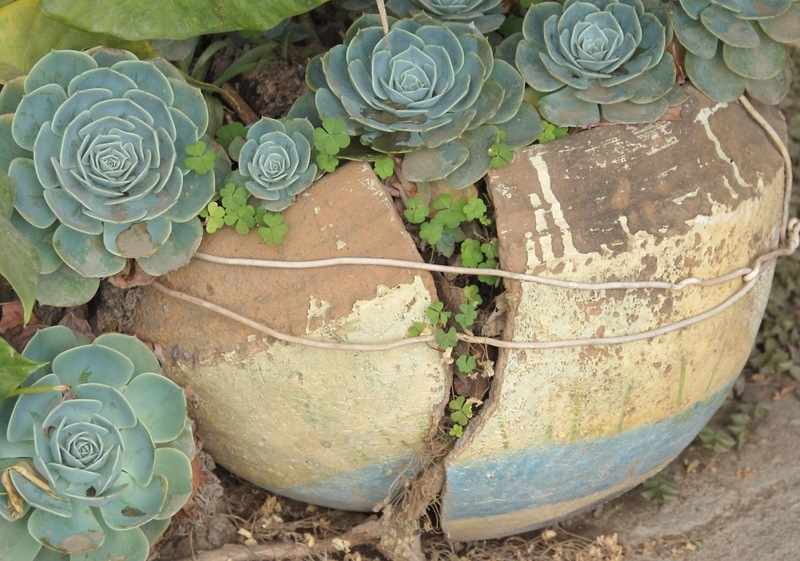 When a container is whole and unbroken, there is a limit to what it can hold. When it is broken, there is room in between the pieces for everything to fit. I am reminded of a potted plant. Left to grow and grow, eventually the roots will fill the pot and the pot will crack open, making more room for more roots. The body of Christ is left broken, leaving more room for more people. In Christ’s body, broken for you, there is room for me and there is room for you. There is not one single person who cannot fit in the body of Christ. The brokenness of Christ’s body is what makes room for every one of us. to make room for you! Christ came back to restore Thomas to community with the other followers who had already seen him. He didn’t have to do that. He came back for the one that was lost and left out. Christ comes to each one of us, restoring us to relationship with him and with each other, completing the love and the life that is in us. But not yet. The body is still broken and there is still room for more. Room for all the people out there. Room for all the people in here. This is my body, broken for you, Christ said. Broken so that you fit, so that you belong, so that we can all belong in community together. And together we will be the completed, healed body of Christ, no longer broken.